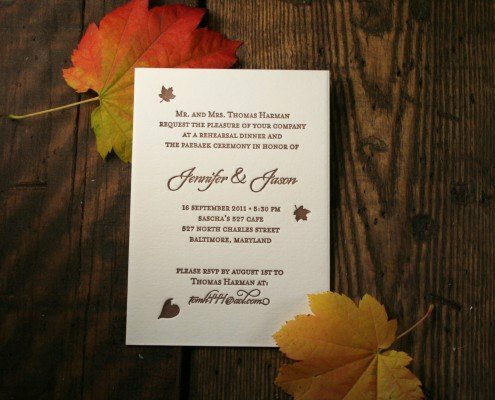 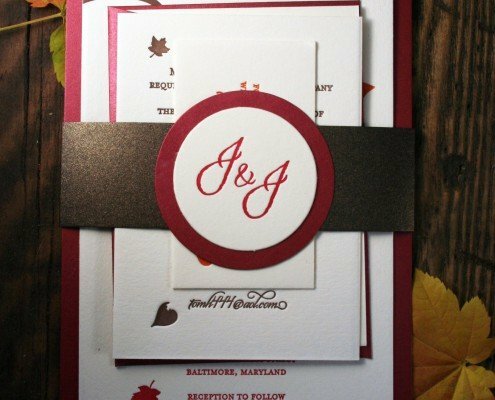 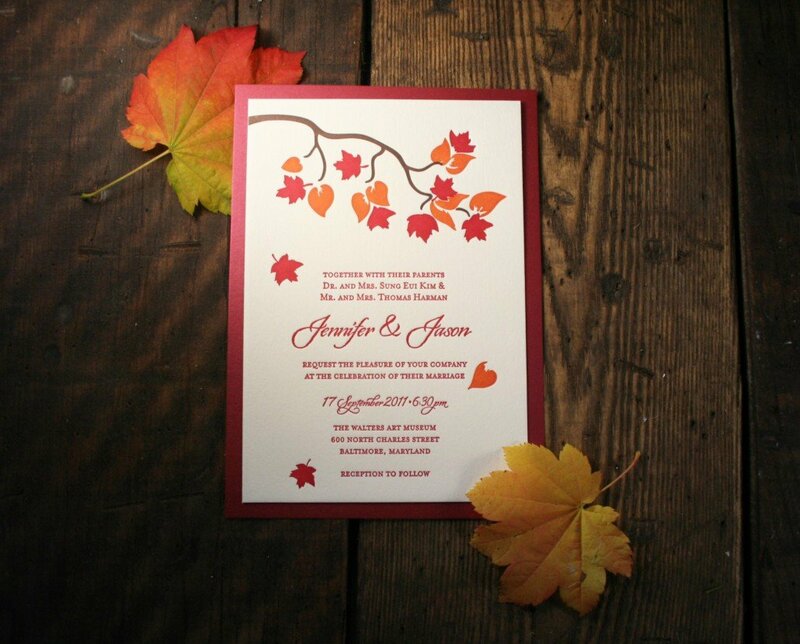 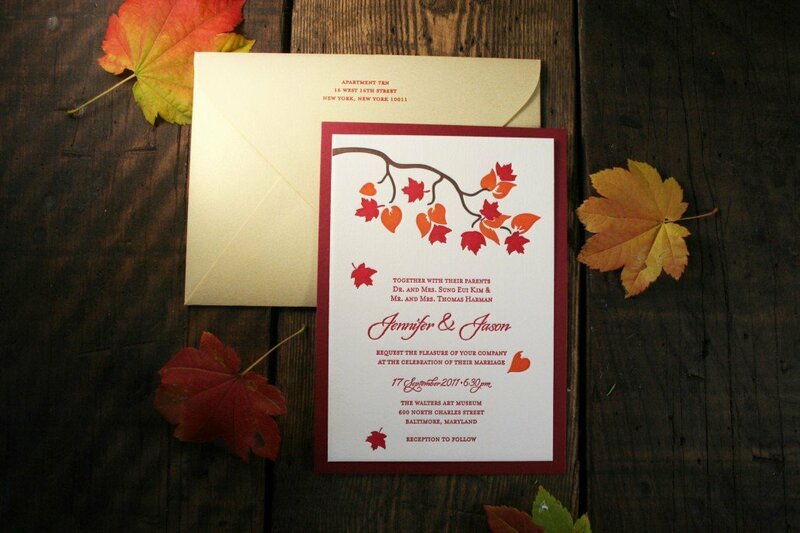 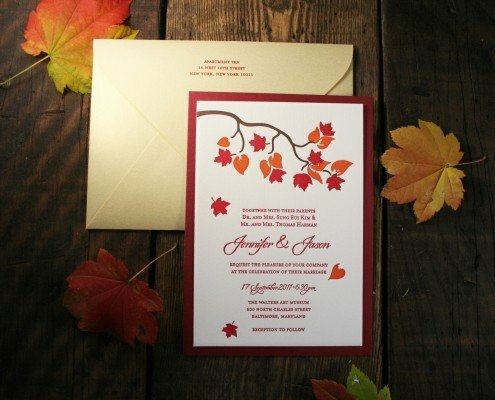 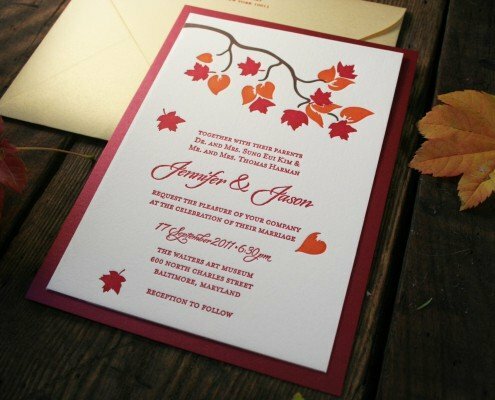 Inspired by the rich fall colors of the Northeastern US, we created this set of custom wedding invitations for a couple named Jennifer & Jason, who were married in Baltimore in September 2011. 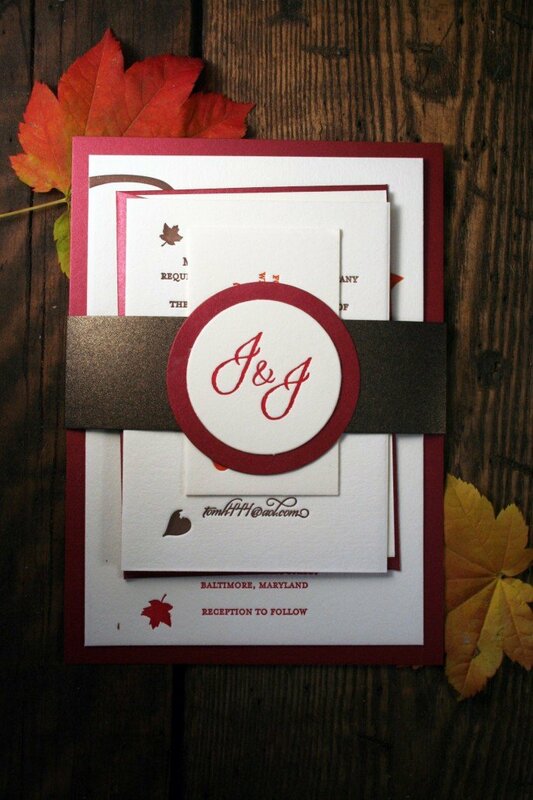 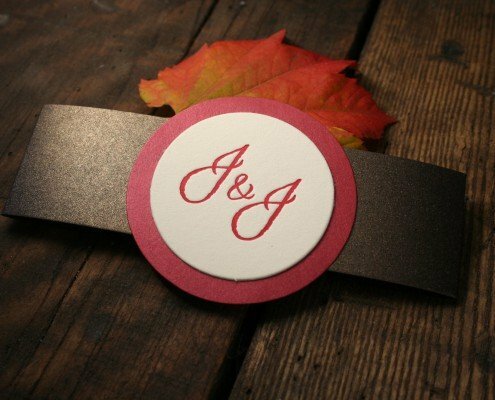 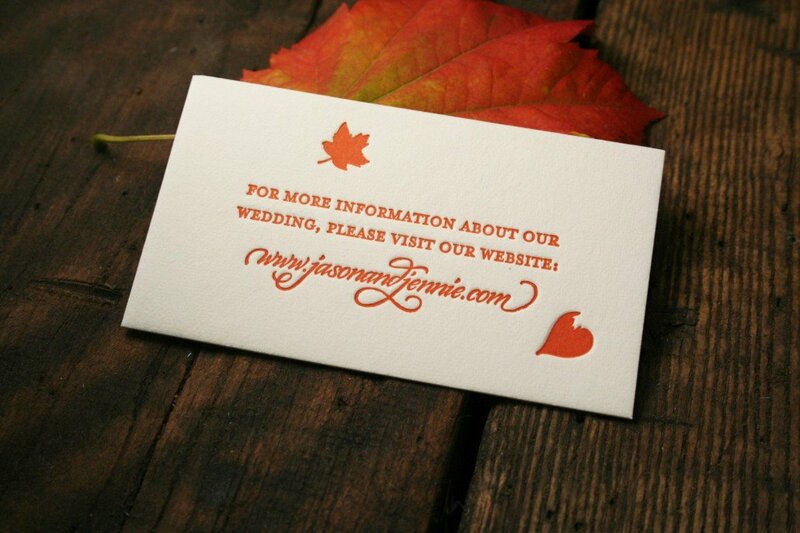 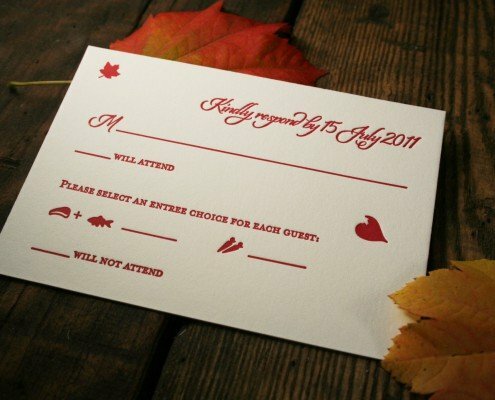 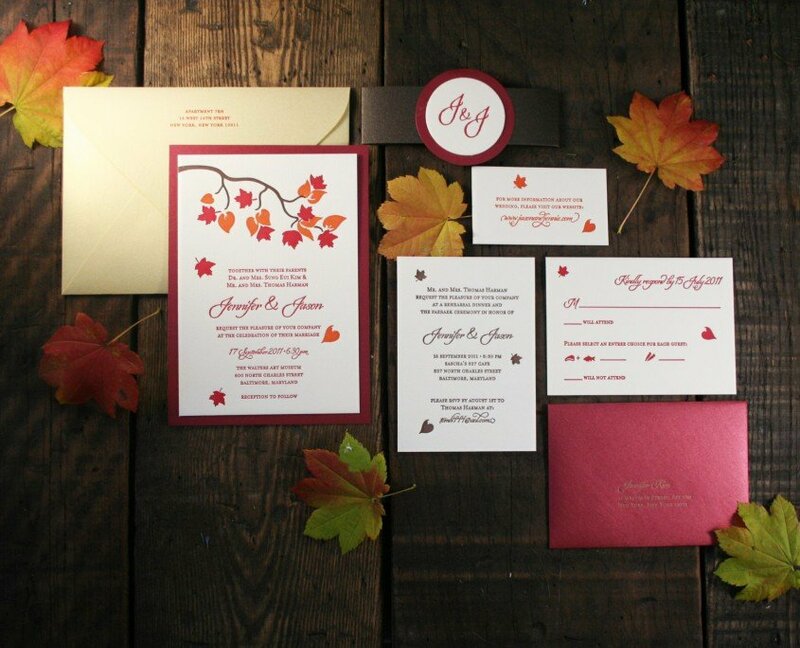 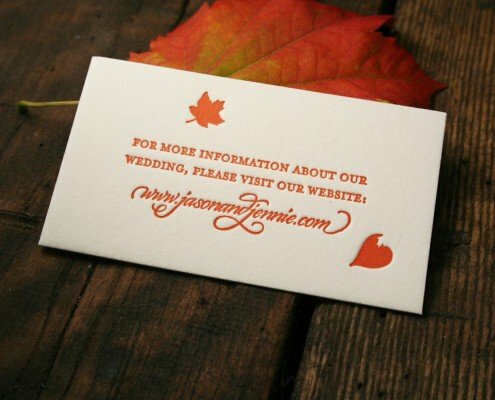 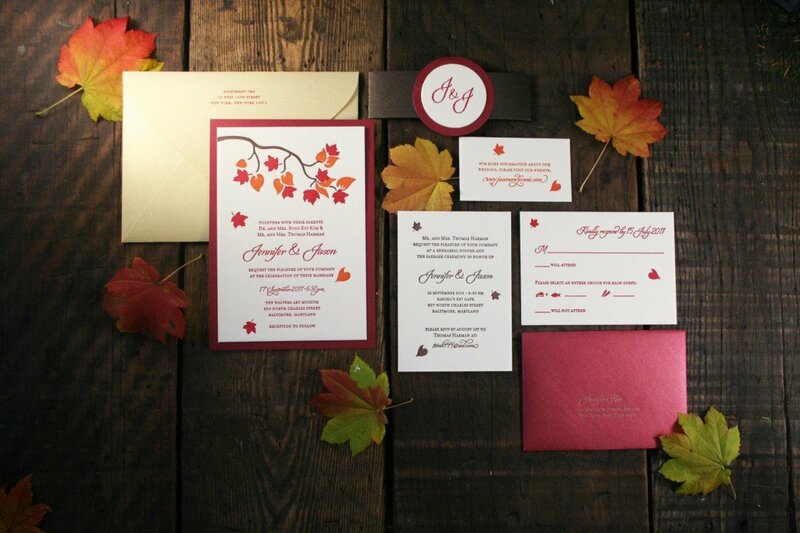 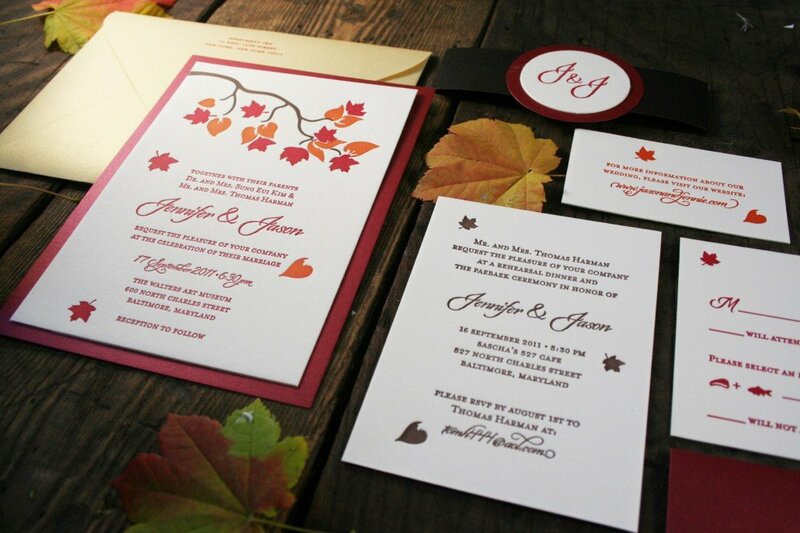 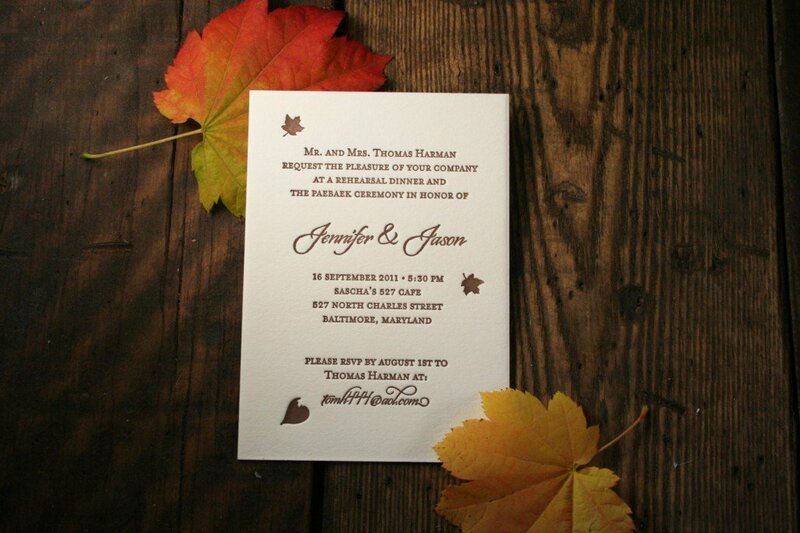 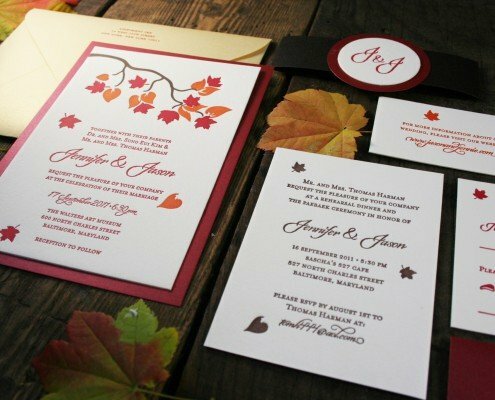 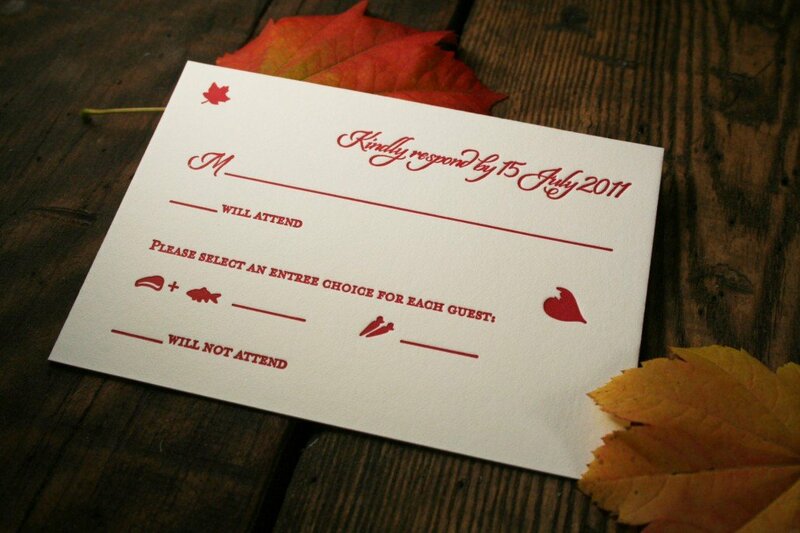 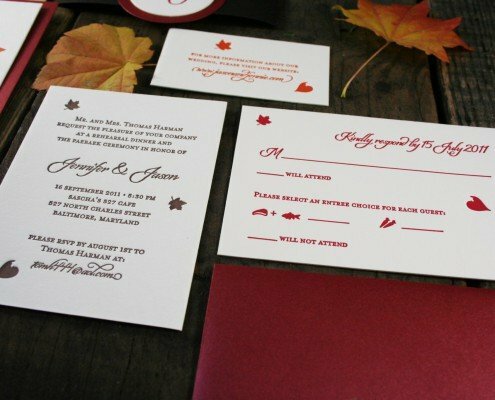 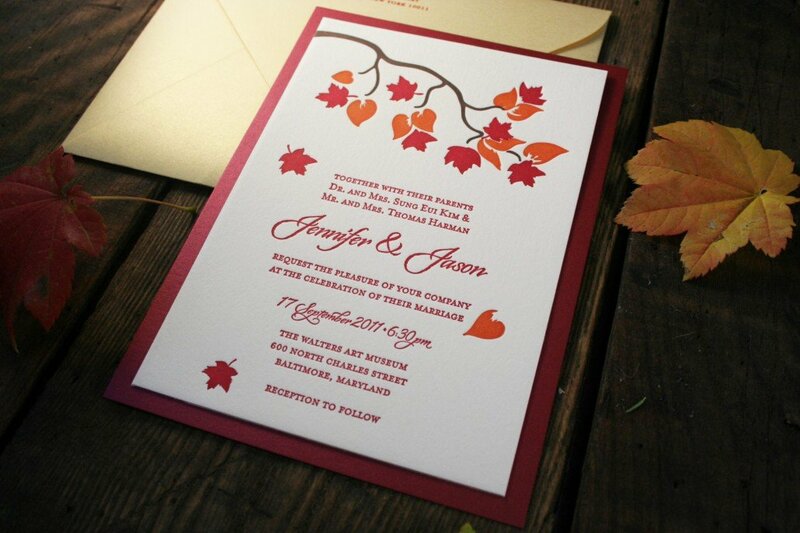 Jennie & Jason’s invitations feature rich letterpress ink colors in deep reds, oranges, and chocolate browns, printed on warm Natural White Holyoke 100% cotton papers. 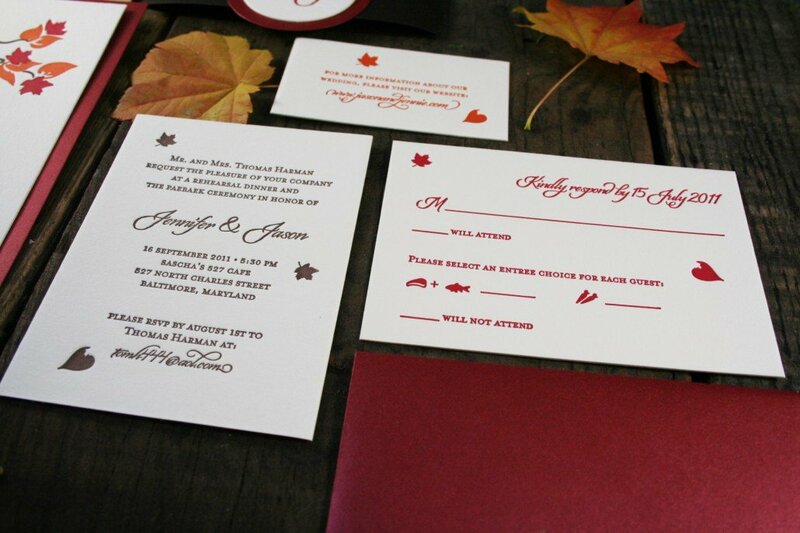 Their invitation was matted on a sparkly deep red Stardream paper that matched their rsvp envelope. 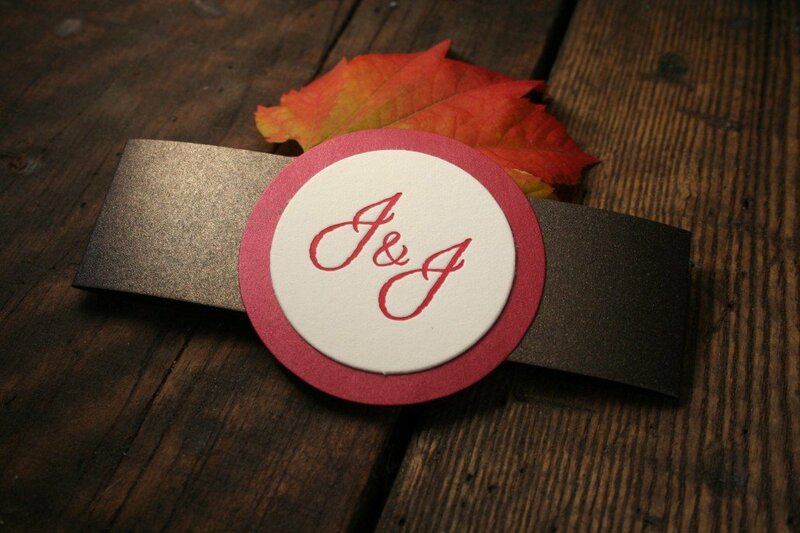 The invitation envelope was a gold Stardream color that coordinated well with their custom monogram belly band.